VALKYRIE DRIVE rides onto Steam this Summer! SENRAN KAGURA’s older and wilder sister comes to PC, fully remastered in 1080p, 60FPS! Marvelous Europe is proud to announce that VALKYRIE DRIVE -BHIKKHUNI- will be launching globally for Windows PC via Steam® this Summer. All previously released DLC for the PlayStation Vita platform will be available for Windows PC at launch to purchase separately from the base game, or together as a launch bundle. The DLC covers a wide range of cosmetics and costumes, alongside characters such as Mirei Shikishima and Mamori Tokonome from VALKYRIE DRIVE -MERMAID-. Take to the fight in full 1080p, 60FPS action with native support for even higher resolutions! In VALKYRIE DRIVE -BHIKKHUNI- a mysterious virus known as the A-Virus infects young women, transforming them into weapons known as ‘Extars’ or those that control ‘Extars’,’Liberators’ – however, the voluptuous Valkyries are infected with a unique strain, the VR-Virus allowing them to take on either role at will. Proving incredibly difficult to cure, they are sent to the sun-soaked Bhikkhuni Island for quarantine where a treatment is put into place – by having the Valkyries engage in combat against one another, it can strengthen both mind and body to allow them greater control of the Virus. Who runs the island? What is the secret of the Virus? Will you choose Order or Chaos? This and more will be answered throughout your time with VALKYRIE DRIVE -BHIKKHUNI-. Choose between 7 unique playable characters to learn and master, each with their own play style! Tackle your way through 24 Story Missions and crank up the difficulty or change your character for even more replayability! Full-featured dressing room for deep customisation of all playable characters — from hair to accessories, clothing and more! VALKYRIE DRIVE – BHIKKHUNI- OUT NOW for Windows PC via Steam! 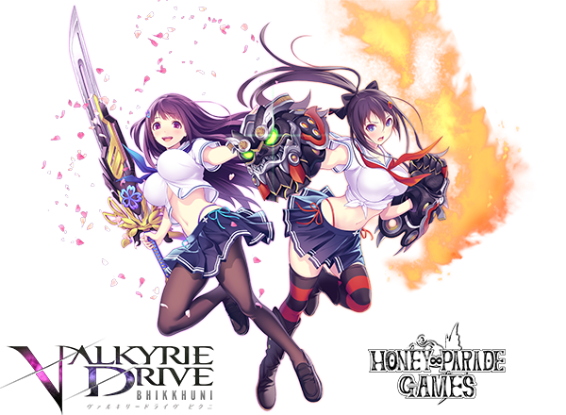 VALKYRIE DRIVE -BHIKKHUNI- Release Date Announcement!